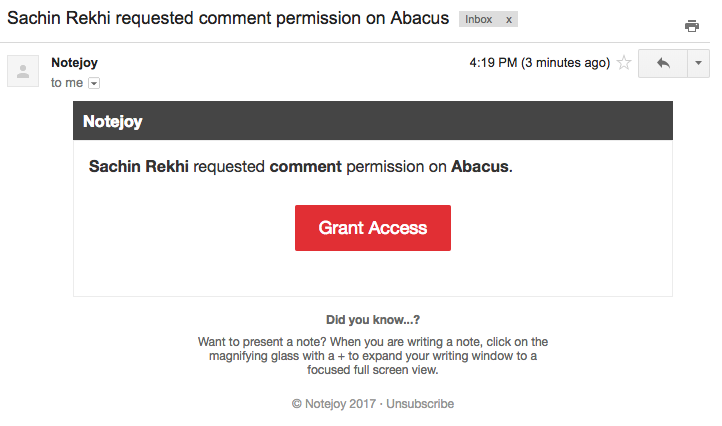 When a user tries to view a note, react to a note, or do another action in Notejoy for which they do not yet have access, they'll be notified that they need permission. 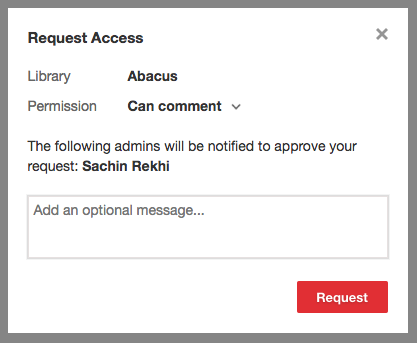 From the notification the user will have the option to request access to the library. The request will default to the permission-level they need to perform their requested action. But the user is free to request a different permission level if they desire. They'll also have an option to provide a short message for why they want access. The request will be sent to each of the admins of the library via email. They'll be given a one-click option to grant the requested access to the user, significantly speeding up the permissions process.